AutoNation Inc.’s U.S. new-vehicle sales increased 21 percent last month from a year earlier to 29,046 vehicles thanks in part to Labor Day holiday promotions. For the first time since 2012, deliveries generated over the Labor Day weekend -- traditionally one of the strongest sales periods of the year -- were included in September’s tally. 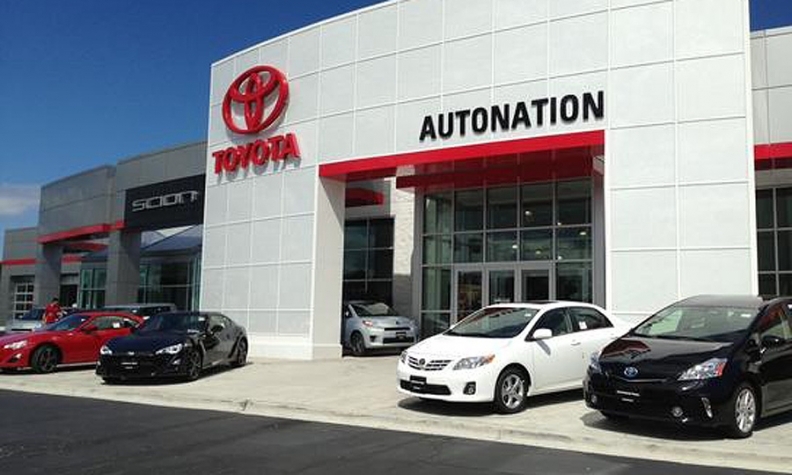 AutoNation’s sales of new vehicles from domestic brands rose 27 percent from September 2014 to 9,306, the nation’s largest new-vehicle retailer said today. Sales of new vehicles from import brands increased 17 percent to 13,593, while luxury vehicle volume rose 20 percent to 6,147 vehicles. The September results boosted AutoNation’s third-quarter sales to 89,953 new vehicles, an increase of 7 percent from 2014. Domestic-vehicle sales rose 13 percent to 29,202 vehicles in the third quarter compared with last year, while import-brand vehicles edged up 1 percent to 42,668. Premium luxury sales rose 14 percent to 18,083 vehicles. September was a strong sales month for the U.S. auto industry as a whole. Labor Day promotions, in addition to low gasoline prices and attractive deals, led the industry to a 16 percent sales gain last month from a year earlier. The seasonally adjusted annual sales rate surged to 18.17 million -- the highest pace of sales since July 2005. AutoNation CEO Mike Jackson said in an interview on CNBC today that he anticipates the industry will generate light-vehicle sales of 17.2 million or 17.3 million this year. He dismissed the 18.17 million SAAR figure for September as a “government number that’s totally irrelevant” and “inflated” as a result of the Labor Day holiday. “But the fundamental fact is that it’s going to be one of the best auto sales years ever,” Jackson said. The light-vehicle market should keep rising into next year and beyond, Jackson added. “We’re looking at years of very attractive low interest rates, low gasoline prices and fabulous products from the manufacturers,” he said. Sales of Volkswagen-brand vehicles at AutoNation stores were flat in September in the midst of the automaker’s diesel-emissions scandal, Jackson said. Jackson said there’s no sign the VW scandal will have an impact on volume at Volkswagen Group’s Porsche or Audi brands, which rose 23 and 16 percent last month, respectively. That’s compared with a 0.6 percent increase in sales last month for the VW brand. “We need answers for our customers, but if they take the right steps, they can get through this,” Jackson said.